All manner of considerations enter into the creation of calligraphy: the nature of the brush and ink and paper, the amount of ink on the brush, variations in the thickness of the ink, the strength and direction of the stroke, and the amount of the brush that is used and its angle. Not just the right sort of stroke, but the stroke order, the size of the characters, and the amount of space around the characters are essential. For a long time the choice of script (the five basic scripts are described below) depended largely on the function of the text being written. Eventually this became more of an aesthetic choice by calligraphers. Works also often feature inscriptions, signatures by the artist, seals that identify the artist and/or collector (small squares printed in red and found at the end of calligraphic works), and colophons, writings added after the work is complete by the artist, owner, collector, or viewer. While appreciation of calligraphy is, as with any art form, up to the individual viewer, there are a few non-negotiable qualities that great works of calligraphy must have. The Chinese characters must, for instance, be correct, done with the proper stroke order, and legible. 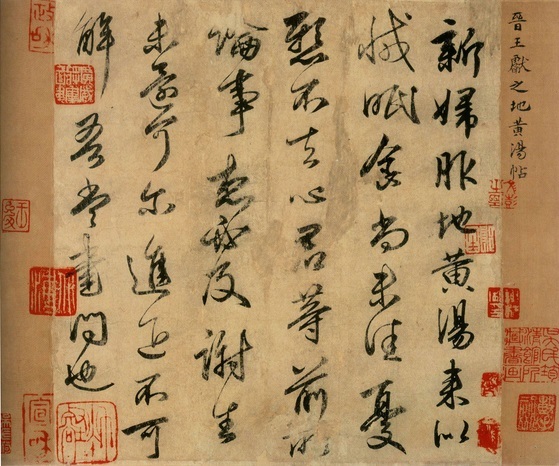 When the calligrapher hesitates with a stroke, a blotch is left on the paper. So speed and agility are required. 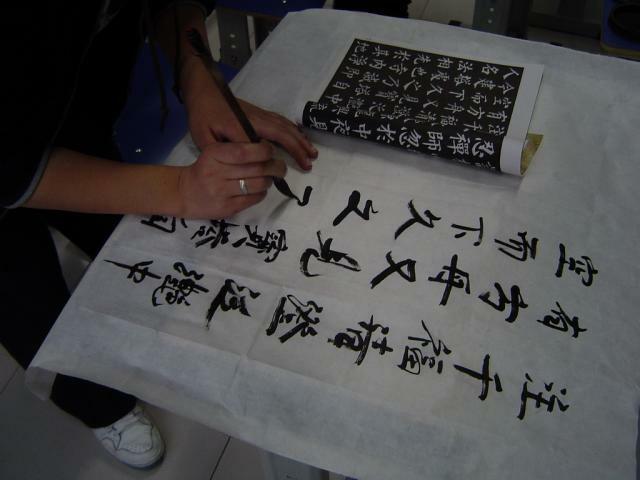 China’s tradition of calligraphy eventually extended to Japan, Vietnam, Korea, and Taiwan. 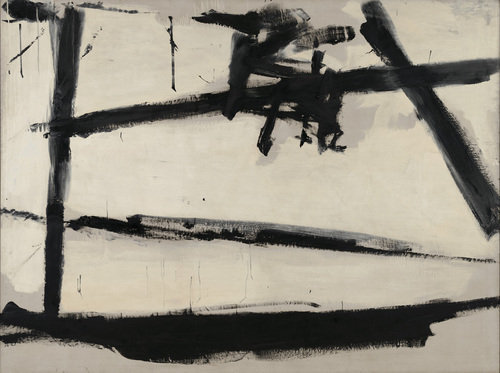 In the west, twentieth century American Abstract Expressionist painters, artists like Jackson Pollack, Robert Motherwell and Franz Kline, famously felt a kinship to Chinese calligraphers. Picasso and Matisse, too, said that they had been influenced by Chinese calligraphy – in fact, Picasso once declared that, had he been born in China, he would have preferred to be a calligrapher rather than a painter. 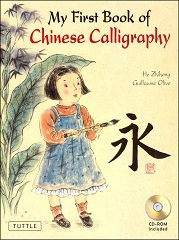 The essentials for calligraphy are known as the Four Treasures of the Study. The Brush – The calligraphy brush can feature hair taken from a number of different animals – rabbit, weasel, tiger, wolf, and deer are just a few – that is held by a body made of bamboo, wood, or something more expensive like ivory, jade, silver or gold. Pens are sometimes used for calligraphy, but they are less valued than brushes. Examples of calligraphy brushes exist from over 2,000 years ago. The Ink Stone – Ink stones have become an art form in their own right. They are generally made of stone, but can be made of ceramic or other materials. The Paper – The most valued paper is made of mulberry, hemp, bamboo, or rice, all of which are much less expensive than silk, which is used only for very special works. Five basic script types evolved over the centuries and are still in use today. Seal script – This style was probably the first to come into being, derived from the writing found on the oracle bones and ancient bronzes, and used on personal seals. Seal script tends to be symmetrical and even in texture, with relatively thick lines and tall but constricted forms. 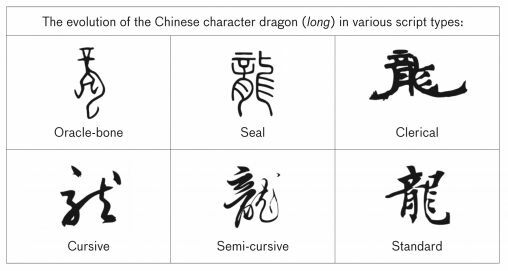 Based as it was on incised characters, seal script allows only for a relatively small amount of variation in line and curvature. 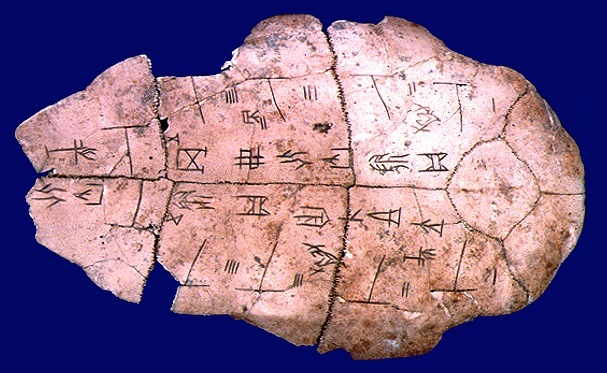 Clerical script – Later in the second century CE, a simpler version of seal script became common among government administrators and clerks. It was around this same time, too, that the hair brush became common; the effects available with a brush were quite different than those found in carved characters. Now the stroke could be thick or thin, strong or delicate. In clerical script, sometimes known as Official Style, the strong, clear characters are both shorter and wider than those in Seal script. Regular script – Sometimes called Standard Style, Regular script is almost certainly the most commonly used style today, serving as the standard for signage, books, and even computers. The clean, even, and straightforward characters fit more or less into squares. 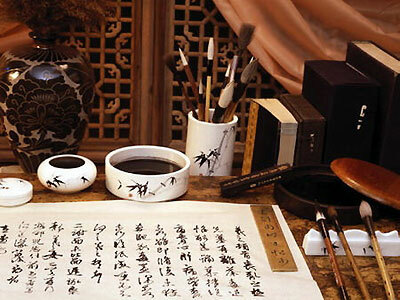 The so-called Sage of Calligraphy, Wang Xizhi, has been acknowledged as its master. Regular script really took off in popularity during the Tang dynasty (618-907 CE). Cursive script – The aesthetic potential of calligraphic writing became clear in the evolution of both Regular script and Cursive script. Sometimes referred to as Grass Style, Cursive script introduces even more flexibility, with characters sometimes linked together, written with a single flourish of the brush. This is the most personal and expressive of the five scripts, especially in its wildest kuang cao or “Crazy” Grass Style. Semi-cursive script – This style is colloquially known as Walking Style, and is more or less equivalent to the English version of cursive. Some shorter versions of characters are employed, and strokes are sometimes connected, but far less often than is found in Cursive script. Thank you for the nice comment! It means a lot coming from someone whose knowledge of this subject is so much greater than mine. I like your blog very much, and am now following you!